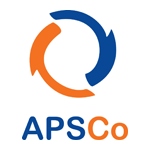 The Association of Professional Staffing Companies (APSCo) has unveiled a new membership offering built exclusively for new businesses and micro SMEs. The APSCo New Enterprise programme has been designed by recruitment experts specifically for businesses in their early stages and will offer specialist support and guidance for rising stars looking to achieve their next level of growth. New Enterprise membership includes access to over 20 support services including supplier discounts, a dedicated legal and compliance helpdesk, downloadable model documents, a contract review service and mentoring opportunities amongst others. The initiative is led by Graeme Read who, with over 20 years’ experience in the recruitment profession, has joined APSCo as Head of Enterprising Members & International Markets.